So to keep from bitching about how disappointing 2016 was from my point of view and keeping my mind off another medical procedure I am planing to have this week. I wanted to lighten up and share what good things did happen in 2016 and skip my reasons to complain and just share my Joy for life, Friends, Family and Creativity. One of the few things I did actually accomplish after Tom and I both spent the spring recovering from surgeries was redoing two bedrooms.This is the first time Tom or I had re-finished hardwood floors and learned tons and will be doing more of the house over the next couple of years. The biggest think I learned was sometime imperfect conditions lead you to perfect resolutions. The floor in Christopher’s room had several places with water damage and some were very dark. We learned from Dan Antion a fellow blogger at “No Facilities blog” how to lighten them without having to actually remove the damaged sections if they were not rotted.I also learned, more about polyurethane then I ever hoped too this year between this project and the following one. I poured my heat and soul into a public art project with my AmeriCorps site in Elkins, West Virginia. I helped to plan, paint and install three large 8 X 8 foot quilt block panels on downtown city buildings. It was some of the most fun I have had in years. Not only did I get to work with a great groups of volunteers I got to spend time doing art in a way that I never imagined.That Art degree finally paid off and my mom is so proud. installed “West Virginia Star” on wall of Davis trust company. The summer was full of time out side whether we were working, traveling or just trying to spend time together as a family. For that I am really thankful and we were able to see some wonderful places that were new to my family this year. One of my favorite hobbies is hunting mushrooms and I think I missed all of the best foraging days this year but was able to find and photograph several that I had not seen before. 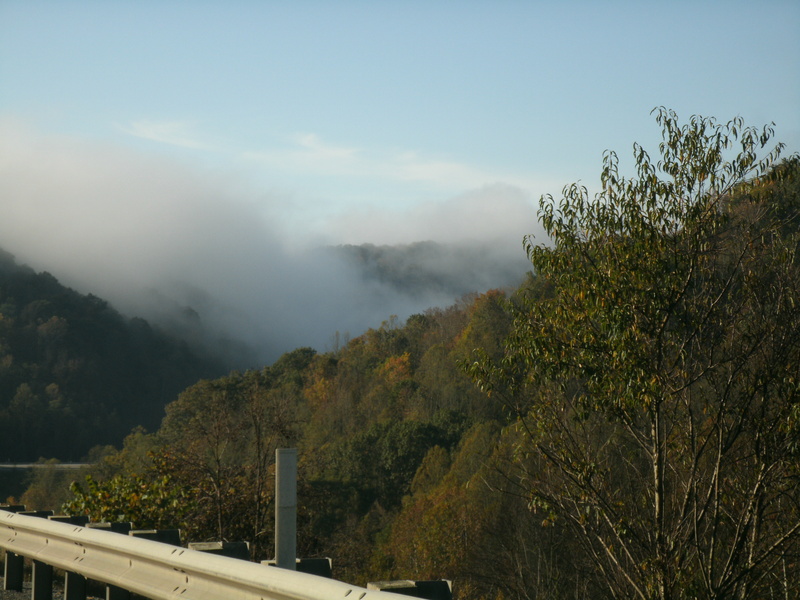 This photo is from the Monongahela National Forest. I got to beat the summer heat at Cannan Valley Ski resort with some of the wonderful co-workers. Picking wild blue berries for a work Team Meeting was one of the most refreshing trips outside I made all year. We rode the ski lift up the mountain, hiked out to a point and sat on rocks over looking a valley where we ate the berries we had picked. I will never look at work meetings the same again. We ended summer with a trip deep into the mountains of West Virginia with a trip to Green Bank and Cass State Park. In all the years that we have traveled the state I think the trip to Cass is on my top five places to see in West Virginia. The train, the town, the hiking and river all combine to make this a must see place. Then fall arrived and my friends and family descended on our house for almost the entire month of Oct we spent time with people that we had not seen in years. First my brother came for a week to visit. We spent time sight-seeing, eating and drinking are way across the state. Mystery Hole front doors… We needed to see what was in that Hole! 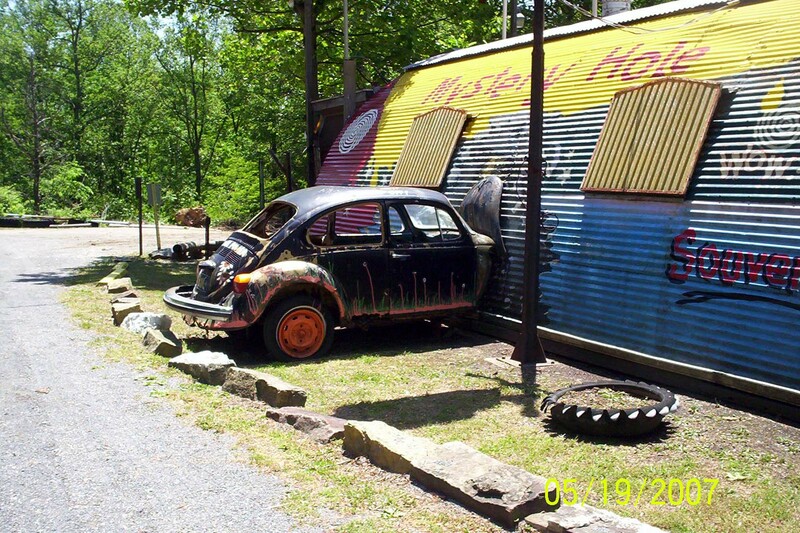 After a morning at Bridge Day in Fayetteville West Virginia everyone traveled the next 16 miles to the town of Ansted to see the World Famous Mystery Hole. 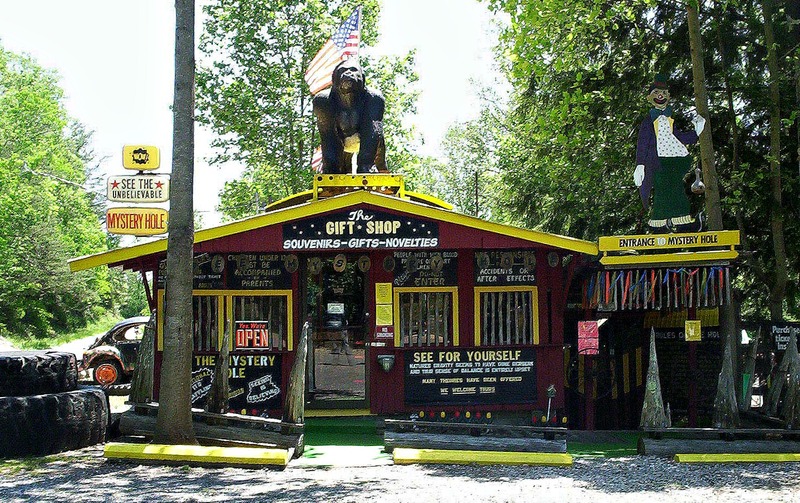 One of the most silly and fun road side attractions in the state. This place is something you just can’t really explain unless you have been there. The fun part is trying to explain how they do what they do in the Mystery Hole and joke about what drug induced night mare inspired its construction. Then a life long friend and Haunted House expert Alex came to visit for my birthday and Halloween. It had been years since we got together and it was the perfect time to take him sight-seeing at West Virginia’s most haunted location, the Trans Allegheny Lunatic Asylum and Haunted House. We had a great time on the VIP tour and got to see every floor of the old mental hospital and take hundreds of photos.We laughed and screamed inside their annual haunted house and spent time taking classic old building photos around the surrounding counties. A Beautiful Mess in a Plaster Repair room second floor of the TALA. Alex Smits taking photos inside the TALA. This room is supposed to be haunted by a little girl named Lilly who will play with the toys. Long corridors along the third floor of the TALA. This is floor was used for farm workers. 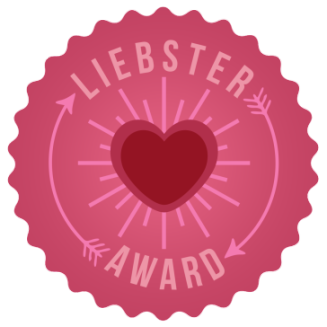 Then we also added the most time-consuming project of the year! Doc takes up almost all of my free time with his walking and play times. He is not the dog for everyone but perfect for my family. “Doc” trying to share a chair with Tom at 5 months old… getting sooo big. “Doc” has been a very active and funny part of our year and If I can just survive the next year with him,he will make a wonderful friend for many years to come. As of today he is 6 months old and weighs about 48 pounds. Full grown he should be about 60 pounds. He is the reason I get out walking every morning and the reason all the neighbors now know me as the lady with the big red dog. Doc will start some kind of training in just a few months. I hope to see if he is able to be used as a search and rescue dog for our local county. Time will tell if he is going to help find lost hikers and children in the mountains of West Virginia or of if he is just going eat everything insight and keep Christopher company on our trips planned for next year. I will let you know! It was a long year in many ways. Health issues were my main topic of worry this year and some seem better while others seem to just keep me from enjoying my life as much as I would like too. So here is to a healthier 2017! HAPPY NEW YEAR! Visiting the Trans Allegheny Lunatic Asylum is my favorite place to explore as an artist and photographer.So when a friend explained a desire to see the huge building in person this Halloween, I was over joyed to share my love with them. So Oct 29th we spent the day exploring and learning about one of West Virginia’s most unusual places. 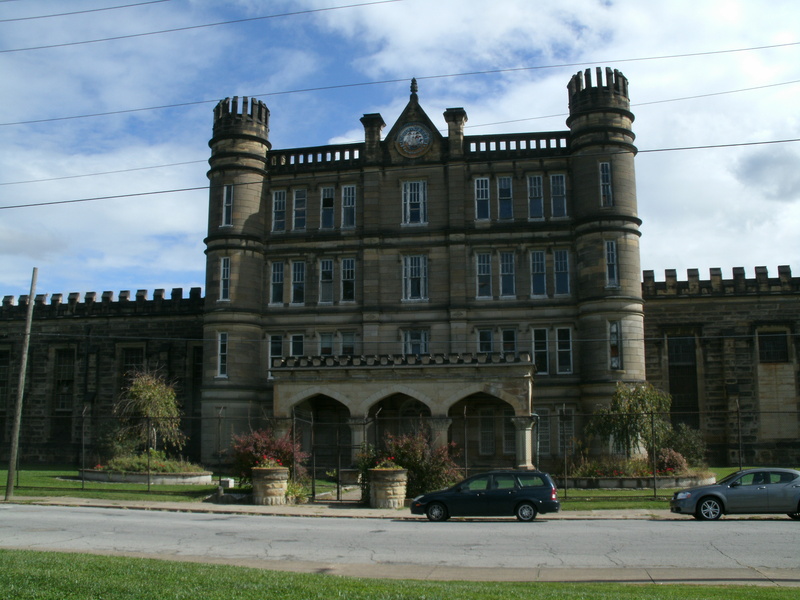 The Trans-Allegheny Lunatic Asylum, constructed between 1858 and 1881, is the largest hand-cut stone masonry building in North America, and is purportedly the second largest in the world, next to the Kremlin. With the VIP tour tickets in hand, we spent our morning learning about the treatment and care of our mentally ill and how it has changed over the last 140 years. We also took this unique opportunity to photograph something that is in various stages of restoration and decay. The TALA was closed in 1994 due to the deterioration of the facility and changes in the laws about care of those who suffer from mental illness. 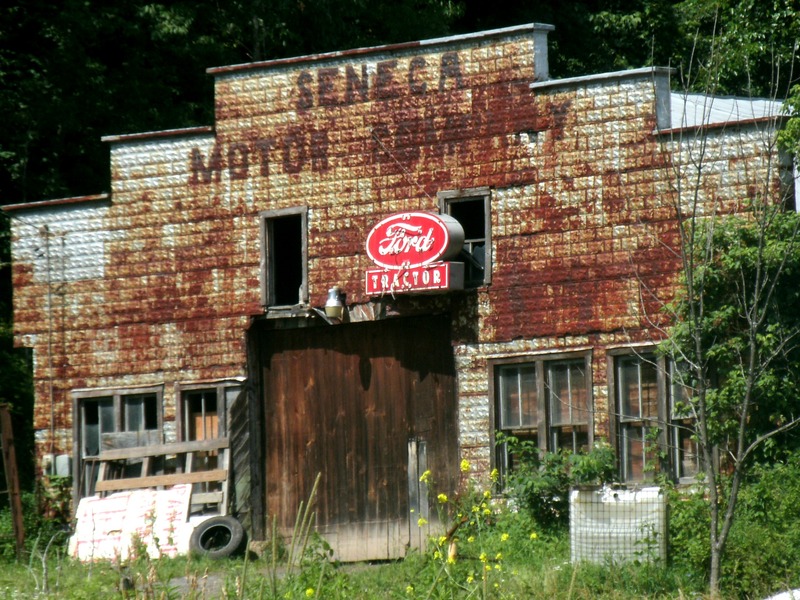 At that time the State of West Virginia had no plan for the future of the building and the 300 acres of farm land that they now had owned in the center of a sleepy farm town. The Trans Allegheny Lunatic Asylum fell into deep disrepair over the next 9 years leaving the community of Weston, West Virginia to wonder what the future would hold for their Georgian style monument. Would the building be sold off one huge block at a time, would a developer take control of the land and building and turn it into something that would help the small town or would the TALA just fall apart from neglect. 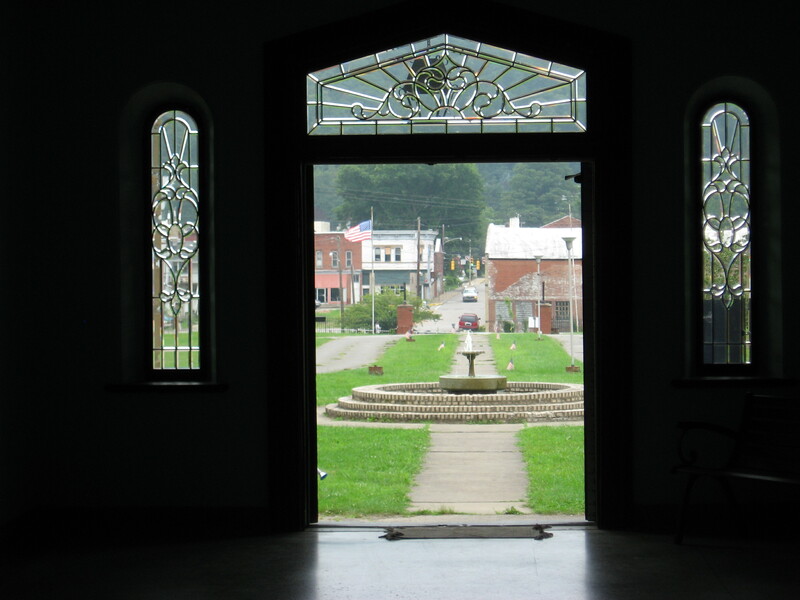 In 2003 Lewis County got its answer as Morgantown asbestos demolition contractor Joe Jordan bought the nationally listed historic building for 1.5 million dollars. It was the start of a new beginning for the building and the town. As a local resident for many years, I have always heard the ghost stories told about the Asylum. I always wanted to get inside to see for myself if it was as spooky and mysterious as reported. Over the years I have been inside some of the buildings, but this trip I was astounded at the amount of work that the Jordan family has committed to doing. Here is just a sample of images that show what kind of shape the building was in 2007 and in some cases still is today. Drop cloth on the floor of the plaster repair shop TALA. Sunlight on a solitary confinement room at the TALA. Washing sink in the kitchen food prep area of the hospital. This seems to be one of the first sinks in this area the newer ones are stainless steel. Creepy reflections appear in a widow at the medication dispensary area of the Trans Allegheny Lunatic Asylum. The woman on the left is a lady as part of our tour group… the older woman on the right without a body remains a mystery. I also have several photos with orbs in them and some believe that the orbs are images of spirits that are in the room. Lilly’s room at the TALA where at times ghostly things happen with the toys offered to her. Single desk in a common area of the TALA with bared windows and chipping paint. Metal bed frame imprinted into the tile floor of one of the patient rooms. Sunlight streams through a cobweb covered window looking out on another portion of the TALA. Doors and windows and grotesque faces on the back of the civil war section of the building of the TALA. Our tour took us up the three floors of the main building and from the civil war era to almost modern times with in the building. Each tour that Greg gives is slightly different and geared for the group he leads.Some portions of the main building have been restored had wonderful time period furnishings and made visitors understand what the buildings intended purpose was in the 1800’s. Tour guide Greg showing off some of the furniture that is original to the TALA. What a room at the TALA could look like for those who were well-behaved. The first item to be restored was the clock tower and clocks the color that was chosen for the trim of the tower is a color match from the 1800’s. My friend Alex Smits in the reflection of a mantel mirror in the restored administrators office at the TALA. Second floor nurses quarters unmarried nurses were allowed to live at the TALA and these are were they would have visited and relaxed in the common areas. 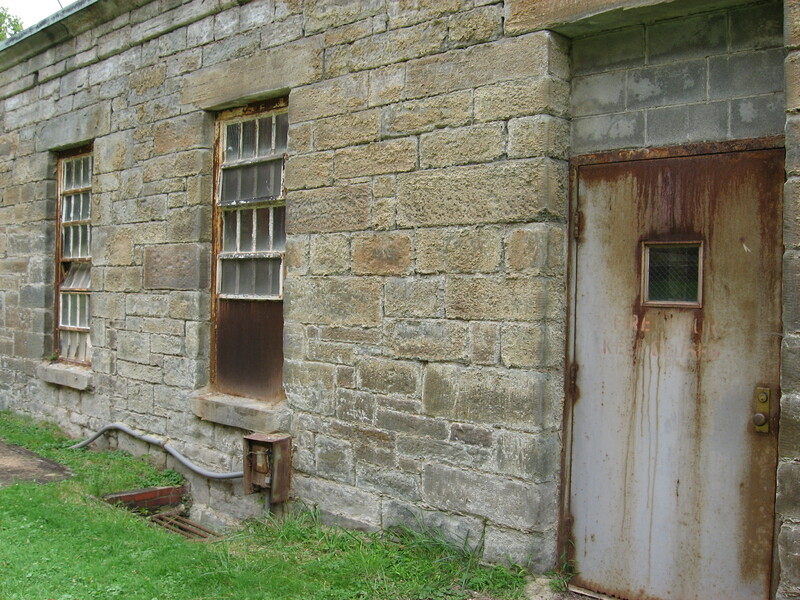 The VIP tour lasts around 90 to 95 minutes and covers every area inside the large stone building from the entry area to the scary electro-shock therapy rooms and solitary confinement rooms. It showed what the building was meant to be and also showed visitors what really happened in the days of over crowding when a one person room would have three or four living in small 10 x 10 cells that reminded me of prison cells rather than recovery rooms. 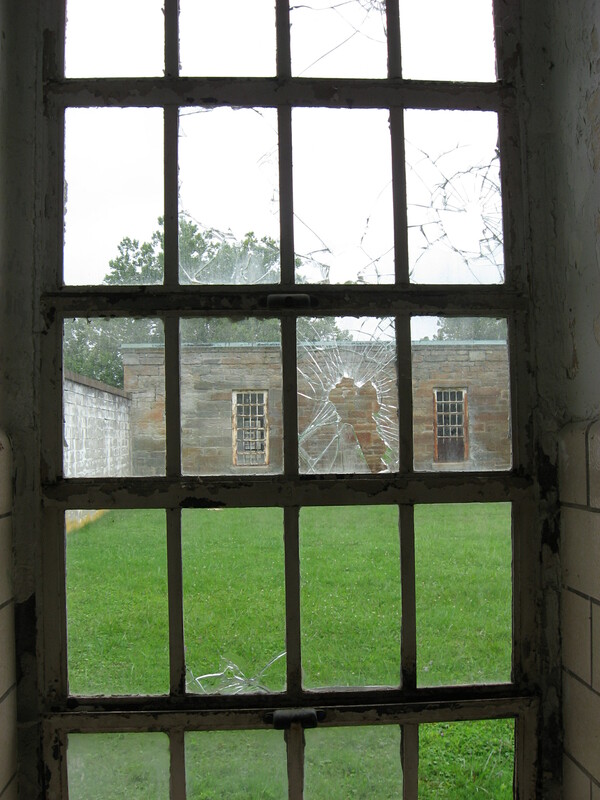 Observation window in the wall of the shock therapy room. Alex and I both felt a mixture of fascination and horror while on the tour when we found out the many ways Dr.’s tried to “help” the people who found themselves committed here. I have often been disappointed in our fellow-man but when a person realizes the reasons that were used to place people in facilities like this one… if makes the hair stand up on the back of you neck. In most cases we would all be committed and institutionalized for the rest of our lives here if they still fallowed these reasons. Thank goodness we have modern medications and treatments.Yet, our tour guide repeatedly told us that several patients at the Asylum cried and became distraught when they closed down the building and had to be move. Some patients had lived inside the gates of the TALA their whole lives and were not stable enough to understand why they had to leave. No matter how you feel about the TALA it is an interesting tour and a very educational one. I left the building with mixed feelings, I felt shame and heart-break for the people who lived here, fascination for the history and architecture, scared in some of the rooms and by the detailed information given about procedures and treatments. I felt sadness while looking at the art of the patients. I did not include many of my photos because the drawings and painting evoke such strong emotions that I felt as if I was sharing something very personal and did not have the right to. In the end I had a great time, I got spend time with someone I really enjoy, and got to take photos of a historic old creepy building.. what a wonderful Halloween I had. This is a story of one West Virginia mans curious mind. How he managed to develop a formula for making mummies and how he refused to give his secret formula away for years.How his experiments resulted in two mummified females from the Trans Allegheny Lunatic Asylum (also known as the TALA in Weston, Lewis County, WV) and how they have survived for over 120 years. Image being alive during the Victorian Period (1837 to 1901) in the United States. Interest in all the sciences was growing and new discoveries were happening in every field. The interest in Egyptian culture and mummies is fueled by the discovery of the Pharaoh Ramses II in 1881. People are collecting relics of everything human, bones, teeth, hair and death masks were all common.Ordinary people are struck with deep curiosity about our world and how it worked.P.T. Barnum was touring the country with a spectacular collection of wild animals, strange entertainment acts, and items collected from around the world. Sideshows traveled small towns with strange examples of natural oddities that everyone could see for a few cents.So for one farmer/undertaker is was a wonderful time to explore his own curiosity about Egypt and their mummies. 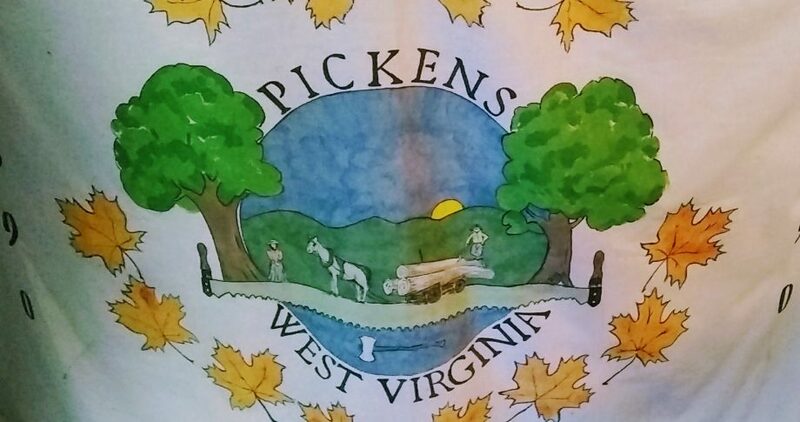 Graham Hamrick of Philippi, WV was not only a farmer but also a local undertaker. In his life he was educated in common burial processes and use of embalming fluids. He found the process of mummification interesting and wanted to learn more. It is stated that he found his formula with in the pages of the Bible somewhere among the pages of The Book of Genesis. With a secret formula in hand, Hamrick gathered materials and began to experiment with the process. Hamrick is said to have mummified fruit, vegetables, small animals and snakes before the trying to mummify a human. To mummify a human Hamrick would need human remains to prove his secret formula worked. 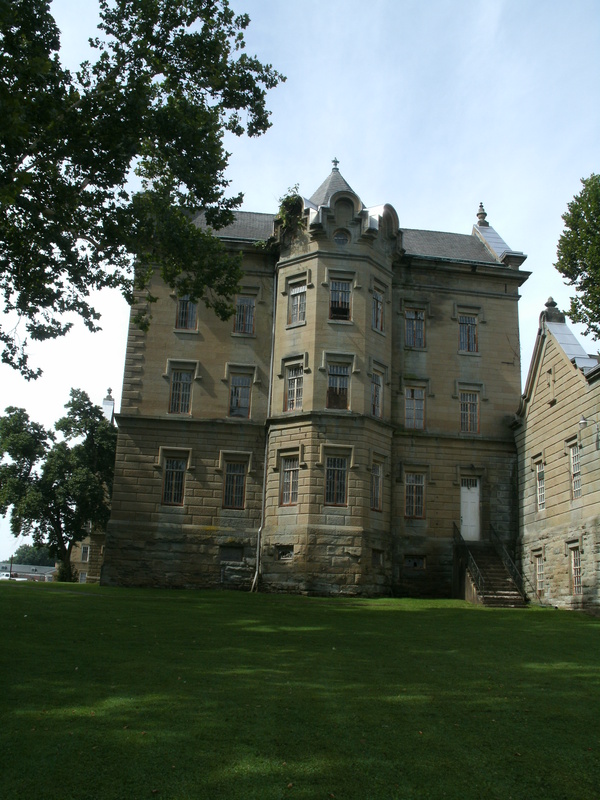 Living with in a day ride to Weston, and the TALA, Hamrick arranged for the purchase of two sets of unclaimed female remains at the insane asylum. This fact makes me sad for the two woman, who were forgotten by families, sold to a farmer and mummified instead of having proper burials. After transporting the remains to his farm Hamrick began the process of turning the remains into mummies. At the time the process is thought to have taken several weeks but no one was really sure how long. When Hamricks process finished and the results were visible, he had created what resembled Egyptian mummies.He began to share his successes with others in the local area and beyond. Eventually, he was contacted by the Smithsonian Institute, who wanted to add the mummies to the museum’s collection and display them to the public with the formula he invented. The farmer refused to share the formula even though he had sent in the process into the U.S. Patent office.The mummies remained in Barbour county until they were recruited by P.T. Barnum’s for his circus shows. The Mummies spent several years touring the United States during the end of the 1800’s. Finally, they were returned to Barbour County and the Hamrick family. They stored the bodies in several different places over the years, in the barn on the farm, under the bed of a local history buff. Then in 1985 the two female mummies even survived the worst flood in North Central West Virginia. The mummies would finally come to rest in the Philippi Historical Societies hands and be displayed at the Train Depot Museum,where they still remain to this day. They have the mummies displayed with the “Secret Formula” posted on the wall of the display room. The Historical Society also was able to get a copy of a letter written by one of the ladies before her death at the Tran Allegheny Insane Asylum. The transcription of the letter is sad. It is hard for me to believe this young woman (age around 17) would be left and forgotten by a husband and family. Yet,it gives us great insight into the world of the mentally ill in the 19th century. I found the whole experience to the Depot Museum wonderful. The other objects in the collection are educational also. Most dating back to the civil war era and the stories of the battles that filled the hills of this town are worth their own trip to the museum. Philippi being the location of the first land battle of the Civil War makes the entire town a treasure trove of stories for further visits. If you are lucky enough to be traveling in the north central portion of West Virginia. 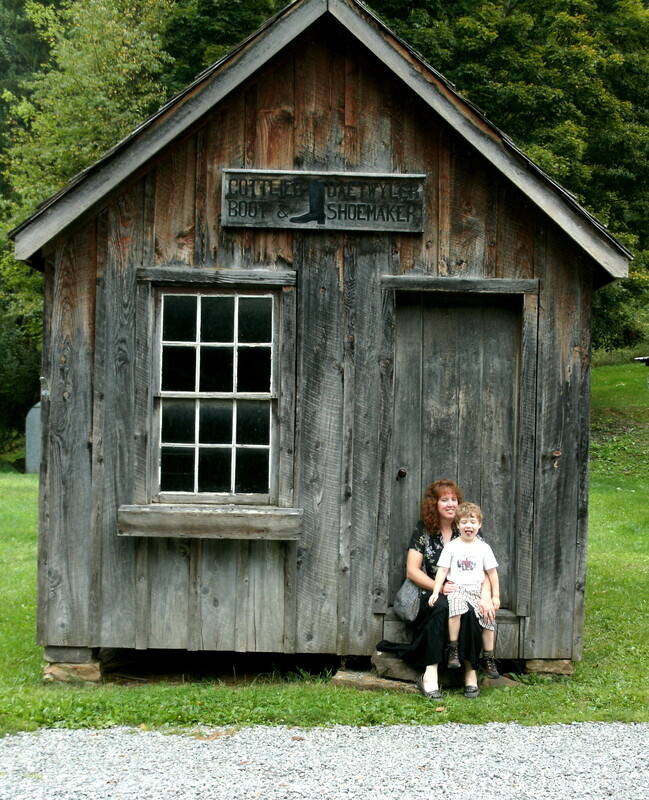 Take Rt #250 through the historic covered bridge into Philippi to see the Mummies. The museum is on the right just across the river next to the train tracks. Pay the small donation fee and take a look at one the little Mummies that Philippi made. As things usually go, now that everything is getting settled and the stress from the last year and the move are over, I have a cold. This one has lasted longer than usual and I am just not up to being to creative so I though a trip down some of my favorite West Virginia country roads would make all of us feel better. In the summer time every thing is green and lush. Many times this is the view you see as you pass by one of our large lakes. This one just happens to cover two counties Stonecoal lake is one of the states largest lakes. It is a lively place with fish and ospreys that sore and deer who drink quietly at its banks. Almost every country road here has one of these old cabins. 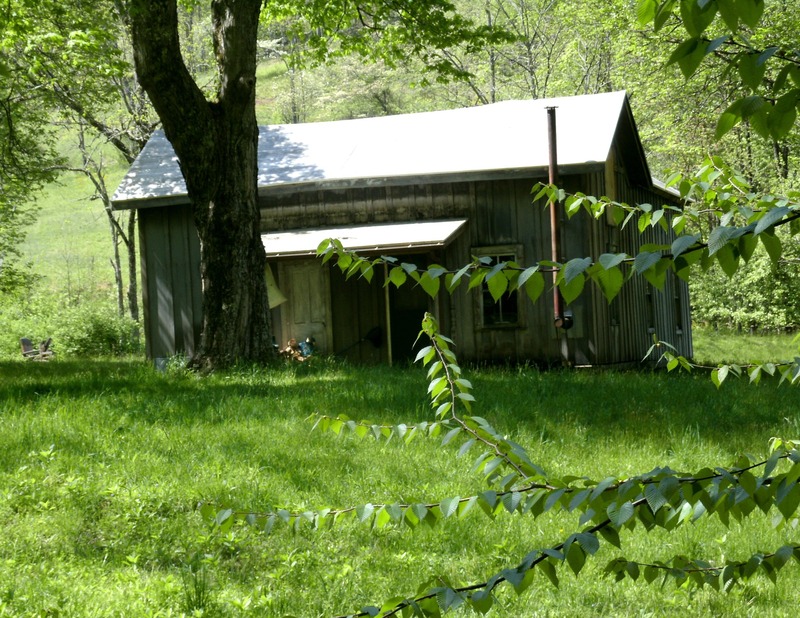 Many are for hunting in the fall and winter and in the summer you would think the cabins are abandoned. This one is one many that I have fallen in love with over the years. Like cabins when driving country roads you will always see lots of barns and most of them are still in use. 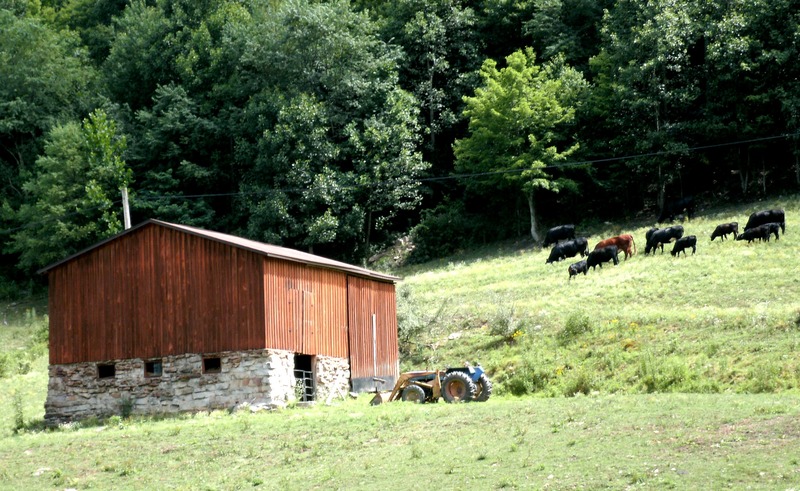 The foundation of the barn is from the 1800’s and has been recently updated with a new roof and siding. 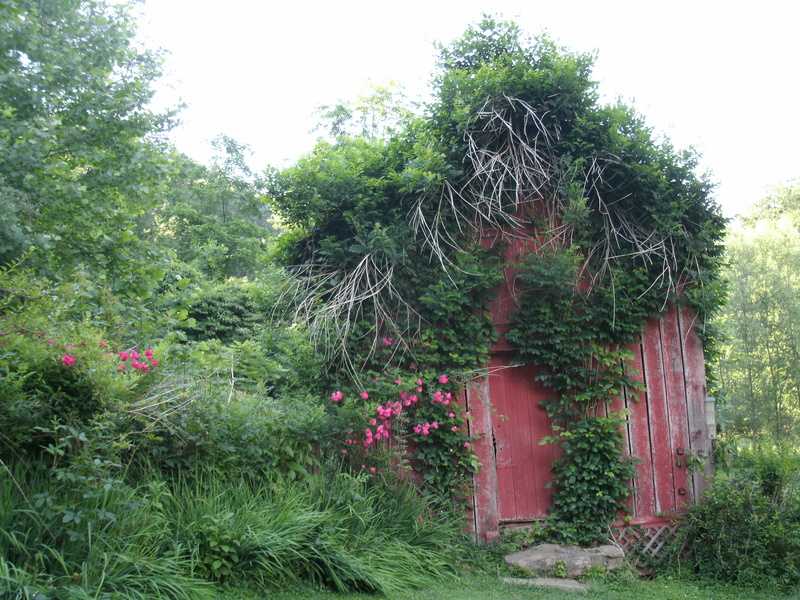 There is just something so beautiful about this old tool shed. Taken over by time and flowers it shows the beauty I see every time we drive a back road. The mix of the old with the new. 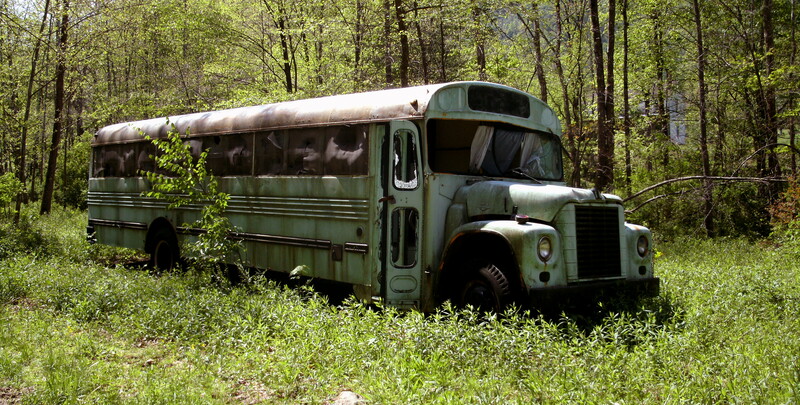 One of the many junked cars, trucks, buses and tractors that have been left to return to the wilderness. I find many of them so fascinating. This one got cut in two about a year after this photo and dragged away to the scrap yard. I kind of miss seeing it when we going fishing farther up this old dirt road. Are you seeing a trend here? I like old rusty stuff. The thought did cross my mind to show off the wonderful rock formations in the Seneca Valley but I have yet to get a good photo of them so maybe next year. instead I fell in love with the town and its river and its old-fashioned stores and friendly people. 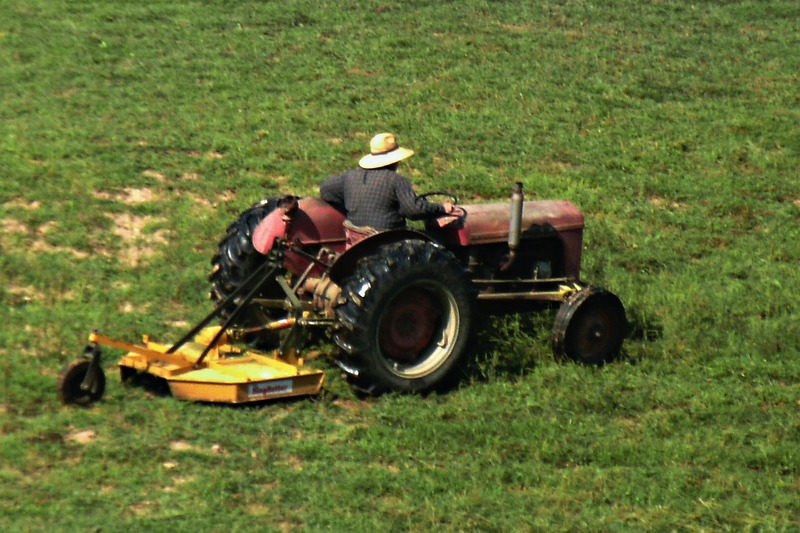 Jim Devricks, Mowing his hay fields. 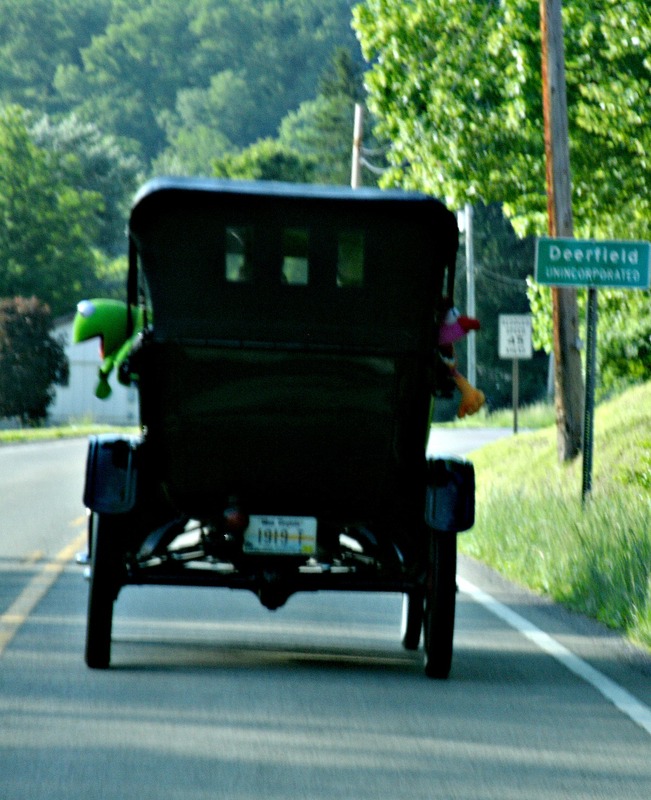 If you travel around West Virginia on country roads long enough, you will get to see this scene replayed a thousand times every summer. 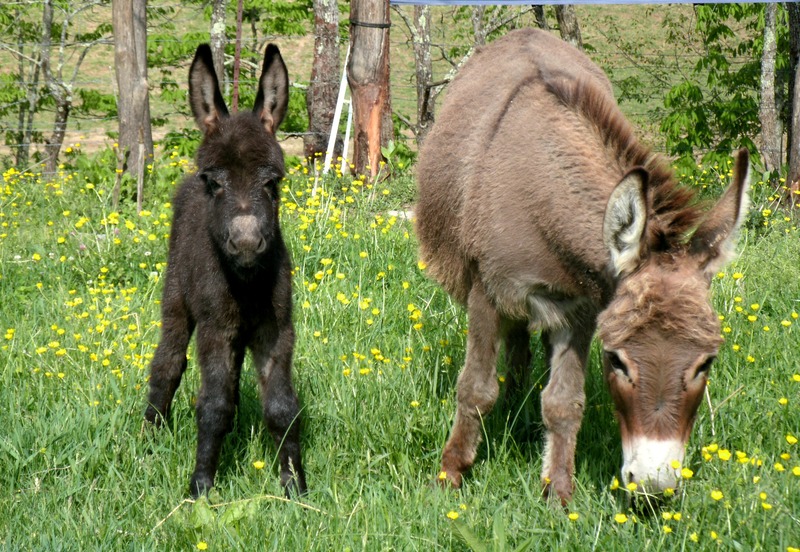 The summer measures out by mowing,bailing and feeding of the hay to the thousands of animals West Virginians love. Another huge part of life in the mountain state is church. I have heard that there are more churches in West Virginia then there are people. I have no idea if that is true, but I have never seen more churches in my life. 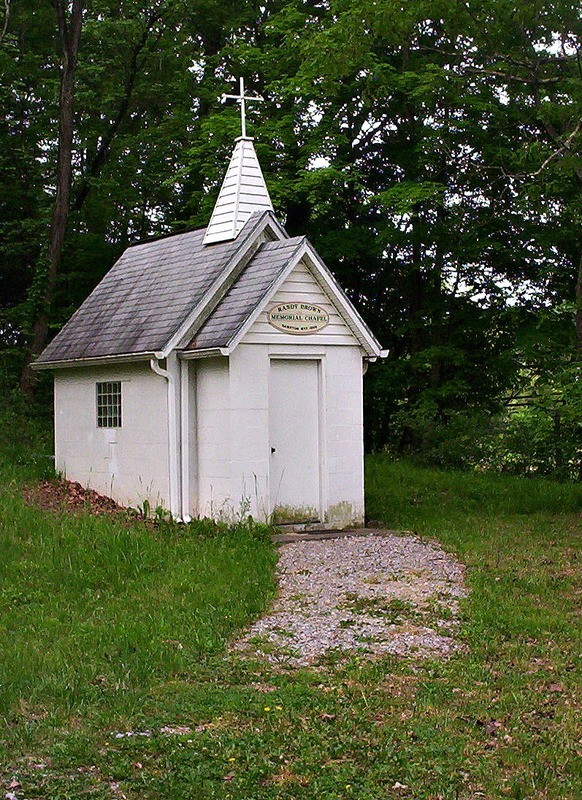 This is the smallest chapel east of the Mississippi River and only has 4 pews and a small parking area. This is the only chapel that I know that is open 24 a day 7 days a week. I pass it on the way to Christopher’s school and always think of the family who built it as a memorial in 1964. 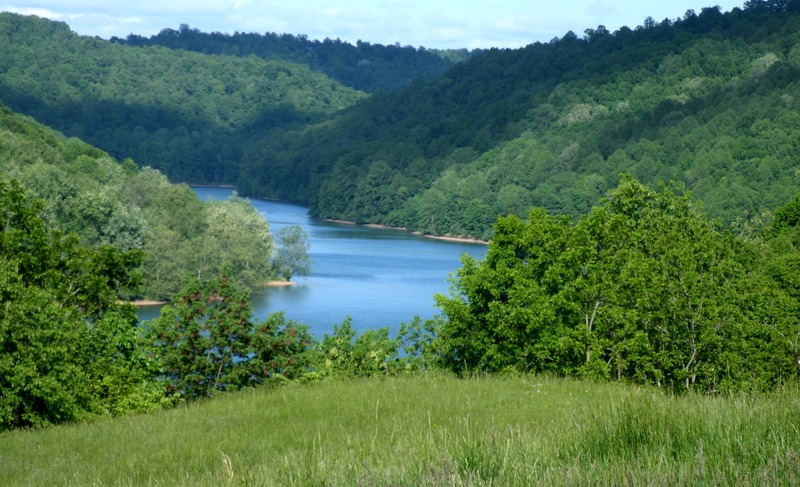 Almost every one in West Virginia has taken time to fish in a farm pound. You may even find a snapping turtle or a muskrat making their home in the muddy edge. 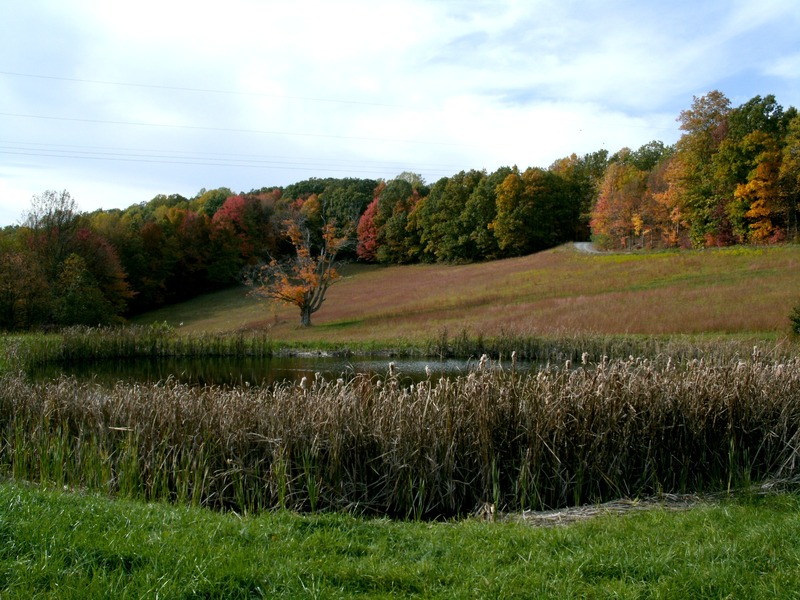 My older son caught a huge bass in a pond like this one when he was little. 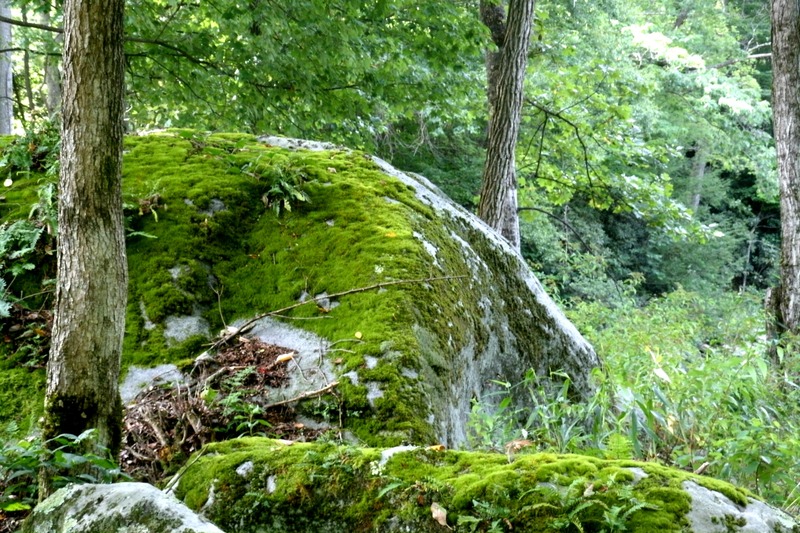 The mountains of West Virginia are deep and lush and every things covered in moss and leaves. It is the story book forest of Hansel and Gretel.Where a person needs bread crumbs to find a path back home. As you can see from the photo of the Mystery Hole, Mountaineers love to laugh and try new things. This wonderful road side attraction is actually one of the funniest experiences a person can have. Travel back to the 60’s and have the world turned up side down ( Literally) on you.It takes several minutes to regain your bearings after a trip to the mystery hole. There are lots of immigrant towns in West Virginia. 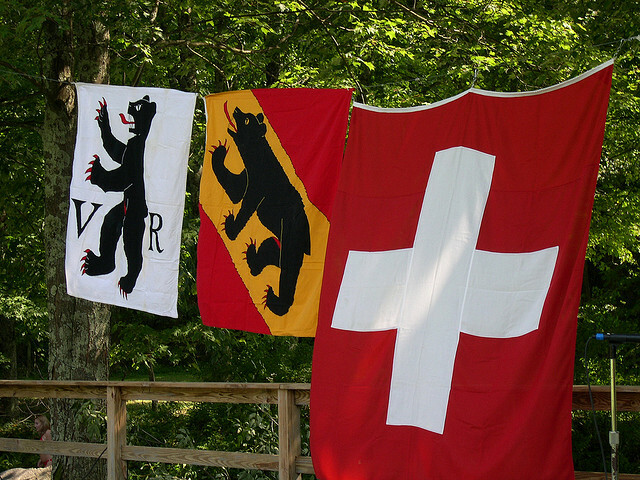 Most are built by Swiss, Italian or Irish families and many have wonderful architecture. This one is one of my personal favorites. Helvetia a Swiss settlement in the mountains where they have a wonderful restaurant that serves town made cheeses, honey and cured meats. Even our highways twist and turn and have the feeling of entering another world. As the sun and clouds rise on an early fall morning,I just could not help but enjoy the view of the clouds rising through the trees. Even our interstates have the feel of a country road. Then if you are lucky enough to find a town you may find that their some of the most beautiful stone buildings hiding in our towns and cities. Where you can take a break from the long rides on the twisty roads and explore the history of these wonderful buildings. 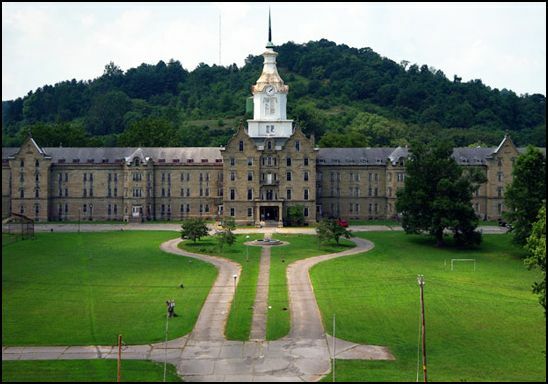 Trans Allegheny Lunatic Asylum , Weston West Virginia. In West Virginia you really have no idea who you may meet along the country roads. As we drive I find it is always better to travel with friends. I hope that my little road trip gave all of you a little better idea about why John Denver wrote his song about my state. Just remember it is always better to share a country road with friends even if it is the Muppets. 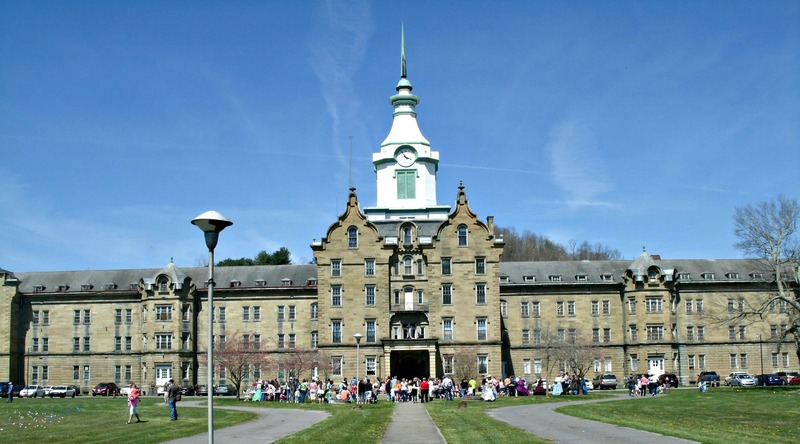 Every Easter we try to spend at least part of our day at one of North Central West Virginia most interesting places, The Trans Allegheny Lunatic Asylum a.k.a. 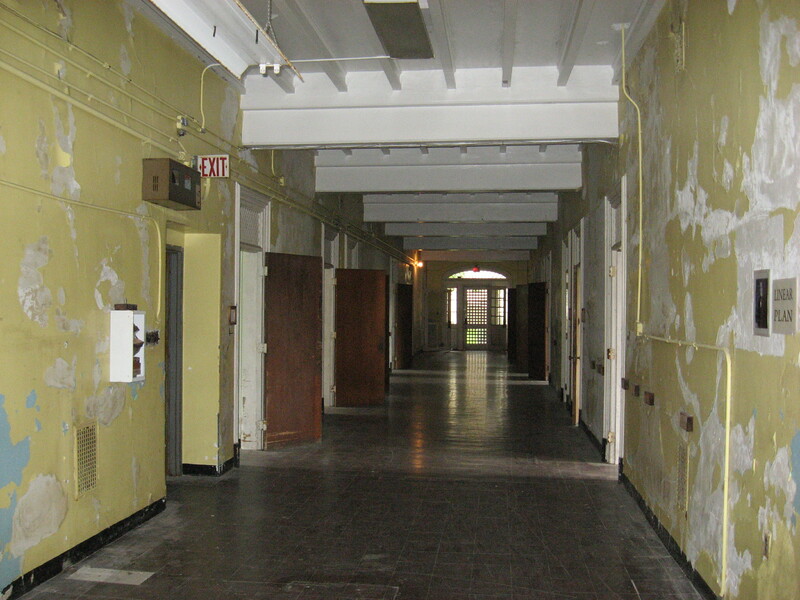 as the Weston State Hospital. This century old building is now the site of many community activities and in is an ongoing state of restoration. It is one of the places that I visit regularly with family and friends because of the wide verity of activities that go one in the stone building and on the 300 acre property.This massive structure and the grounds that surround it are the largest stone cut building in North America and second only in size to the Kremlin in Russia. The history of the this wonderful grand old buildings constructions begins before the civil war and official opening of its doors took place in 1881. 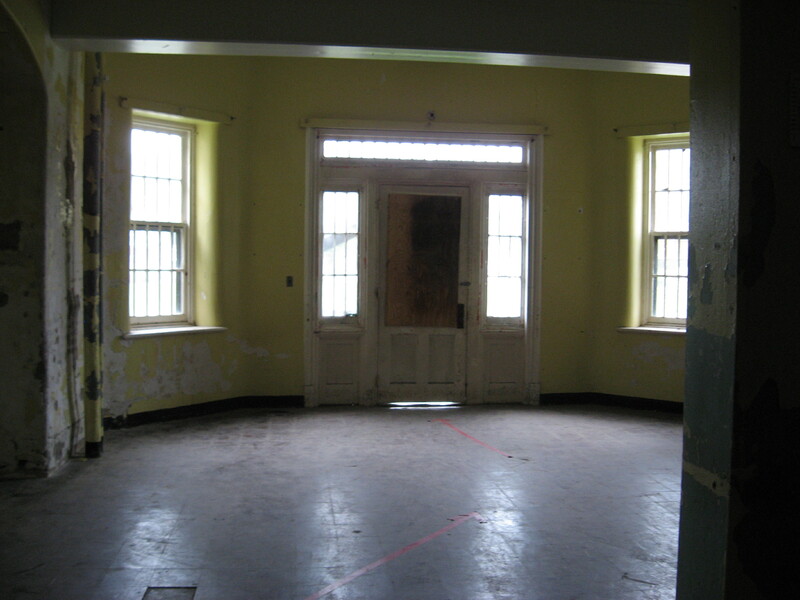 The Hospital was home to up to 2400 patients in the 1950’s and continued to house the mentally ill until the last of 1994 when the mental hospital was officially closed for use. Finally after sitting abandon for years, in Aug of 2007 the Jordan family bought the building and grounds. Ever since that sale on the court-house lawn, the family have been on a journey to restore and reuse the building and grounds. It is now a place that draws thousands of families, tourists, photographers, ghost hunters and television crews. 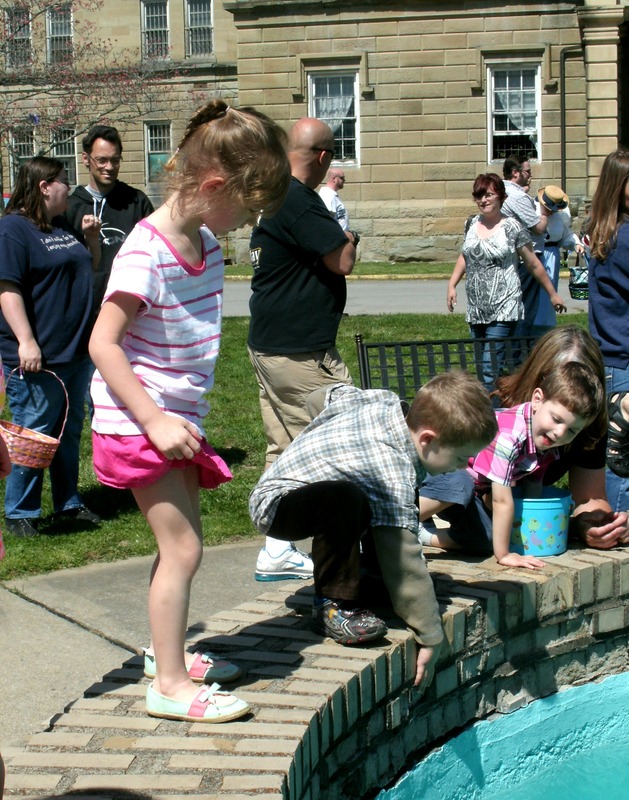 They offer tours, ghost hunts, plays, outdoor concerts and one of the largest Easter egg hunts in our state. I try to take Christopher to play on the huge 3 acre front lawn whenever there is a community activity. In the center of the huge yard is wonderful water fountain that is the center of all the outdoor gatherings. 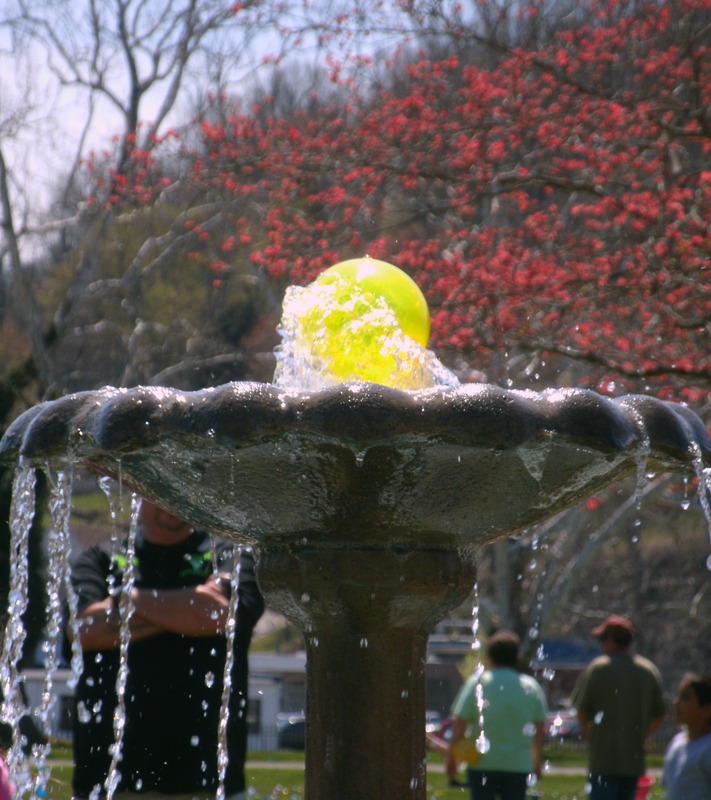 Christopher and a school mate try to capture a balloon that is in the fountain before the 400 hundred colored eggs are ready for them to find. While the 200 children and their families prepare for the day of hunting eggs, the TALA opens its doors to the public, offering tours of the 1-4 floors of the main building. Other tours take place on weekdays and at night if any one wants to see some of the hospitals famous ghosts. They also offer one of the east coasts best Halloween Haunted Houses in Oct every year. Named “Ward 21” after another building on the grounds it never fails to scare the pee out of several visitors every year. I have been on some of the tours and went through the haunted house myself and all of the activities are well worth the price of admission. My best friend Natalie and I did the haunted house together several years ago and believe me what we experienced in that dark haunted house could fill a blog post all by its self. While inside the building Christopher and I took a look around at some of the rooms that were still in need of restorations and cooled off in the cool corridors of the 4 foot thick walls of this massive structure. Visiting area in side the TALA. Soon we heard the call for the”Egg Hunt” to begin and returned to the yard, and lined up for the afternoon of racing around collecting eggs. The race courses are divided into age groups to make every thing fair for the littler ones. The horn sounds and off they ran under huge trees that have seen more years than my short life span. At the end of the race Christopher and some friends sat in the shadow of a large oak and opened the eggs that our community helps to pay for each year. 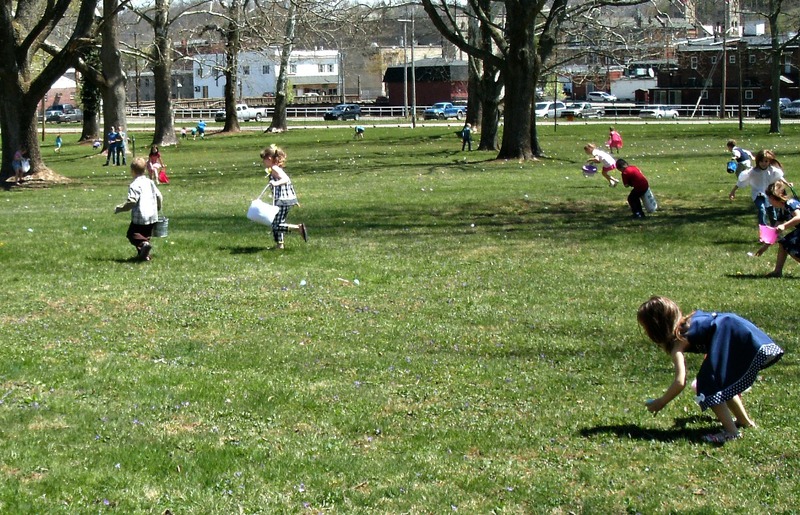 I think we went home with about 20 eggs, each with a prizes or candy inside of each egg. While the crowds began to filter away from the grounds and head home for more Easter dinners and games. I took a few more shots of the wonderful grounds and some but not all of the buildings. 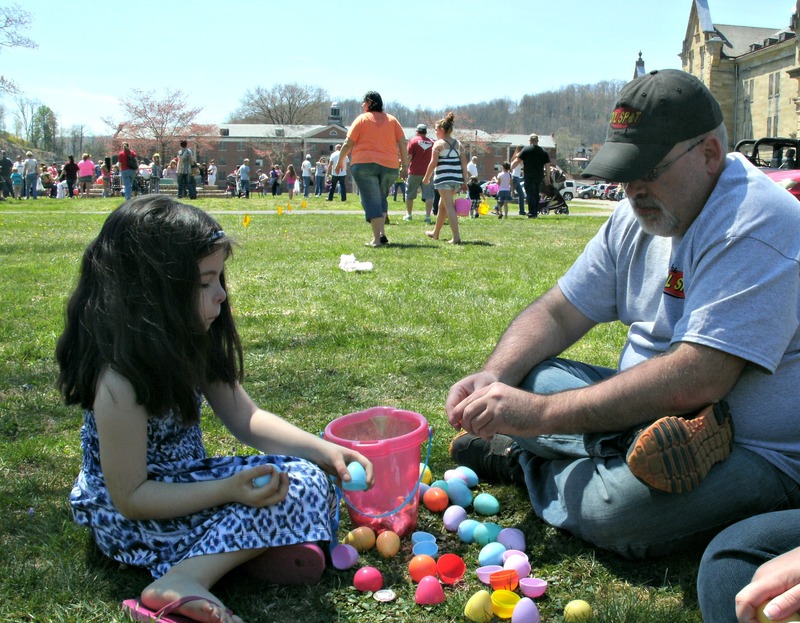 Easter was another wonderful day at one of Weston, West Virginia’s most interesting places. I hope that you can now see why we try to visit and support one of my favorite historic buildings. 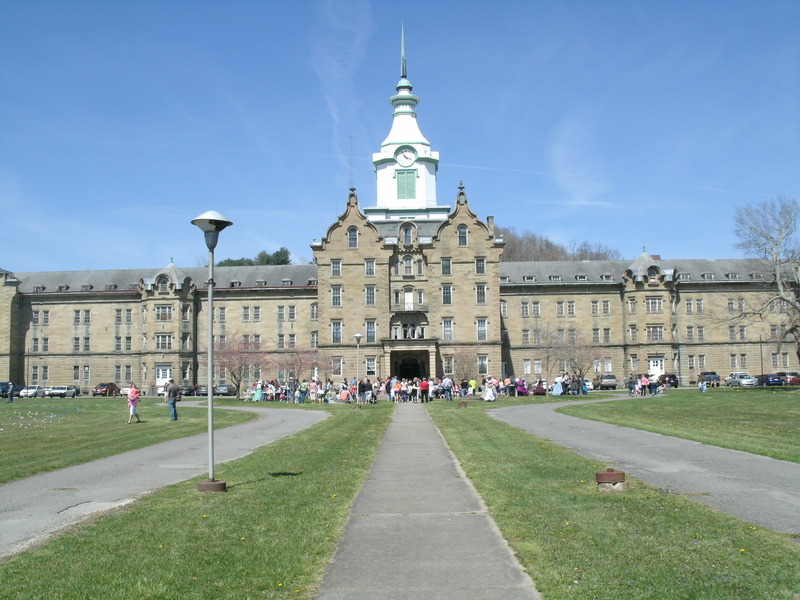 For more information on visiting here and taking a tour or visiting the haunted house please take a look at their website at The Trans Allegheny Lunatic Asylum. There are many community activities that this old building supports and even if you only spend a day on the lawn watching children play it is a day well spent.